Anticipation for E3 just stepped up a notch for fans of intense, bombastic and hugely entertaining games, with the news that PlatinumGames will be unveiling a new title at the show. The news comes from IGN, who will host the début announcement and footage on Tuesday 16th June at 3pm Pacific / 6pm Eastern / 11pm UK / midnight CET. No other details have been provided, while Hideki Kamiya - as an example - is being his usual enigmatic self on Twitter. As a result there's particularly broad potential over what this could be. In recent times PlatinumGames has worked on varied projects from Wii U exclusive Bayonetta 2 to the still-in-progress Scalebound for Xbox One, while it's also known for many multi-platform franchises and releases. It's not beyond the realm of possibility that IGN would devote an exclusive reveal to Wii U, of course, as it announced Devil's Third last year. Bayonetta 3 exclusive to Wii U to complete the trilogy! Much excite. Doesn't really matter on which console this'll be released to me tbh (that'd just mean I finally have two reasons to get a PS4/Xbox One ) as long as it doesn't end in another Korra, but I'm, of course, hoping for another Wii U exclusive. Heck...what if Kamiya and Miyamoto will be there together and reveal Platinum's working on Star Fox? I know it's unlikely, but I really think Platinum could work wonders for that game. Also...Hashimoto was the director for Bayo2, right? @Humphries90 Why would you be shocked? Platinum Games have widely been interested in continuing to work closely with Nintendo, to the point of wanting to become a second party developer. @Tsurii897 A quick search of his timeline back to April says no, Nintendo's is all he's mentioned. And yes, he was directer of Bayo 2, producer on Bayo 1. Hype! I'll eventually get all 3 of the consoles so I don't mind what it's on. I'd be quite surprised if Nintendo paid for another exclusive after the sales of W101 and Bayonetta 2 however. Hope it's a new IP! Metroid on Wii U by Platinum? That would work. Well I got Bayo 1 (PS3), Vanquish (PS3) and Anarchy Reigns (PS3) to play and beat, I also hated the block mechanic in Metal Gear Rising Revengence as it was pointless to reinvent something didn't need reinventing. It really put me off play the game. Captain Falcon character action game directed by Hashimoto. Takarazuka Revue-inspired Space opera RPG directed by Kuroda. I can't wait for the inevitable "not coming to Wii U" article. At this point, I won't be surprised if Nintendo would pay for another critically-acclaimed exclusive whether it sold well ir not. Xenoblade X, Devil's Third, Project Treasure, and Fatal Frame are on the way, why not another Bayonetta or another "mature" game for the Wii U that would appeal to those PS/Xbox owners? Throw in a Bayonetta/WonderRed amiibo exclusive to a game bundle then it'll sell like hot cakes. @Peach64 I would personally think that if this were a Nintendo exclusive, this was something agreed as a large triple title deal with Platinum Games. And Bayonetta 2 did pretty well, likely making its money back. Omg... 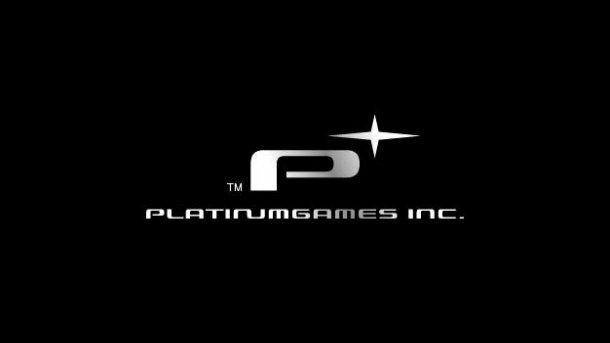 Platinum games is quickly becoming one of my favorite studios - and I'm generally looking to support them in any way that I can. If they announce a title for Wii U, I will literally flip the script and throw my bank account at them for whatever it is. I'll admit, I'm a little sad Scalebound is an X box one exclusive, but whatever they show off at E3 this year could make up for that. ... Bayonetta X Devil May Cry crossover anyone? Hopefully it's for Wii U and nothing to do with Starfox,that means we've got 2 games to look forward to then.Personally I'd love to see what they could do with Metroid with Retro giving us Donkey Kong Racing , Eternal Darkness 2 or Goldeneye 2,either one will do. I'm betting it's a New 3DS game for Jeanne from Bayonetta. Kamiya has spoken with interested about doing a Jeanne game for the 3DS, plus we know there will be a 'Bayonetta related piece of news' this year, the N3DS is in need of games, and I keep hearing of some 'Angel killer' or something game coming to a Nintendo platform. I would love if Bayonetta 3 was in development. I could of sworn that they were contracted to make a game on PS4 and if I am right I bet that the reveal will shed light on that game. They seem to be pretty popular these days after releasing so many great games. It seems this may be a ps4 exclusive seeing as Nintendo, and now Microsoft have games from them. But it could be anything. So maybe it could be something for Wii u. I have most of their games across the systems I have, so what ever it is I will get it. @BinaryFragger I'd buy Infinite Space on Virtual Console even though I own it already. Plot twist: Platium is working on new metroid, and retro is working on star fox. Id be happy w/ a Vanquish sequel, but Ive really bern waiting for a Binary Domian sequel. Great story, amazing cliff-hanger ending, the sequel is just beghing gor the PG treatment. And I can only imagine whst they could fo w/ the power of PS4. The Wonderful 102, now with co-op?! It's most likely a PS4/XBone game,But the fact it's the same day as Nintendo's E3 digital event gives me some hope. WONDERFUL 102 PLEASE PLEASE PLEASE!!!! Oh, pulling a @JaxonH is getting closer with each passing day. I can wait years for the third console, by then many games will be dirt cheap anyway. And maybe it is multiplat so I won't have to? Give me something with the scale and wonder of Infinite Space. Please. Vanquish bundle (1 and a sequel) like with Bayonetta maybe? Welp whatever it is it will be great. As usual! Vanquish 2, Bayo 3 or The Wonderful 102. I will settle for nothing less. @rjejr Although I'd be really happy for them if one of their games sells really well, I believe the reason why they're able to continually do projects is because sales don't matter. Specifically in that, unlike many devs, they're given a certain amount of money to do a project (that's not their own), and their job is simply to make the best game they can with that money, and then they get paid for it. I don't think they get a cut from sales (though correct me if I'm wrong). I am guessing either Metal Gear Rising 2 on PS4 or a Bayonetta spinoff starring Jeanne for New 3DS. @sinalefa - There's only 2 kinds of multiplats - AAA games on X1 and PS4 excluding Wii U, and Child of Light indie types things which I don't want PG to make. Though to be fair there is a third type of multiplat, NFC toy games and licesned stuff, and since I can't imagine PG doing a licensed game maybe we can finally get a Cereza NFC figure. Neither Wonder Red nor Cereza being in SSB is nothing short of criminal. @Chubblings - "and then they get paid for it. I don't think they get a cut from sales "
Well, I have no idea if you're right or wrong, so I'll just change money to "recognition" by way of massive sales numbers. Their games are so good, it's a shame more people don't play them. Whatever it is that PlatinumGames are going to unveil if it is coming to Wii U my E3 will be AWESOME! Infinite Space 2! More Infinity! Bigger space pauldrons! Gothic space cathedrals firing efficiently Teutonic laser beams from their spires! An entire race of H.E.L.P.ers! Psychic powers! Giant hair! Another deal with Nintendo, and given all the awesome stuff either released or announced for the WiiU (because it's still struggling: that's the only thing we owe the long overdue Mario Maker, presumably), a MadWorld 2 or a Bayonetta 3 aren't outside of the realm of possibility. A deal with Microsoft for a hack 'n' slash Battletoads game. Made slightly more unlikely by the fact IGN is covering it, considering most people agree they're incapable of praising anything beside a shooter. A new IP. Anything goes. Its 50% chance that they are making Starfox. Also 50% chance that Nintendo funds them for some random game. Yeah, I meant the first kind, so I can have Scalebound and this new game on the same system. Spiritual successor to Viewtiful Joe. PLEASE!!!!! The next Metroid game made by Platinum Games anyone? so their being bought out by big N and going first party? I doubt it will be on Wii U, but this does remind me of my interest in Devils Third, and I can't wait to see it at E3. I should point out that it's an unannounced game. It's not Star Fox. My best guess is that it's either Vanquish 2, Metal Gear Rising 2, a Bayonetta spinoff, or a new IP. A Bayonetta spinoff wouldn't be too hard if it's on Wii U as most of the work is already done with Bayo 2. Would love to see a Zone of Enders 3. Anyways, whether this game is for Wii U is dependent on who is publishing this game. If it's published by Nintendo, it'll be Wii U exclusive (or for the 3DS). If it's multiplat, it won't be on Wii U.
I always wanted them to port MadWorld to the 3DS. I absolutely love that game, and would love a 3D version or sequel that would incorporate touch screen instead of motion for attacks. I don't think it'll be on Wii U, tbh. Hopefully I'm wrong, though. Oh man, I REALLY hope it's on Wii U. Seriously, whether it's The Wonderful 102, Bayonetta 3, or something new, I hope it's on Wii U. No Metal Gear fans here? No one is hoping for a Revengeance 2? Thanks for tell us about the retweet. It's a good sign. I hope be a METROID made by Platinum. Or Wonderful 101 sequel. @Knuckles Revengeance was so much fun. I'd like to see a sequel. @rjejr "Their games are so good, it's a shame more people don't play them." ^This. I couldn't agree with you more, those folks at PG truly make magic with games (except Korra, which doesn't really count, being a low budget title an all). With W101 and Bayo2 on Wii U, and coupled with the fact that PG likes working with Nintendo, I think Nintendo should put some cash in to get them as a second party dev. @Knuckles I liked Metal Gear Rising Revengeance! The only problem I had with it was that, it as a bit short, but a fantastic game nonetheless. Revengeance 2 would be great, now that you mention it, ugh..... there's so many different projects they could go with (MGR2, Bayo3, W102, etc. ), but I have no doubt that whatever it is, will be fantastic. With Hashimoto's retweet of Nintendo's digital event, I really hope whatever this is comes to Wii U... I would love if it is the Bayonetta spin-off Kamiya spoke of a while ago. Loved playing as Jeanne in Bayo 1 & 2! Madworld 2 is a go! Clearly it's gonna be the Waluigi stand alone brawler Nintendo fans rightly deserve. Weapons include Tennis Racket, Golf Club, and Mad Dance Moves. Moon riiiiver wiiiiider than a miiile~~! "Metroid on Wii U by Platinum"
I really have to disagree- that would be a disastrous announcement. Platinum is one of THE best developers in the world, when it comes to combo-based action games. That's their thing- it's what they specialize in. But a Metroid game is about isolation, exploration, item-based progression and none of these things are what Platinum games is good at. The only developer that I know of that is truly talented enough to make great games in all known genres, is Nintendo themselves. @Chubblings @FragRed Kamiya has said on multiple occasions that Platinum has no interest in going second party, and I believe him; I think they value their independence too much, and they have greater freedom in choosing what projects to work on. That said, Nintendo needs to work with them as often as possible, enough that people think they've gone second party; they're too good at what they do. You are probably right about a Platinum Metroid, but even if they don't ever do it, I can't help but be curious about what it would be like and what direction it would go. Maybe they made a pitch for it and the secret artwork will emerge some day. This needs to be Vanquish 2 (and Vanquish 1 collectors edition.). I personally would love a Viewtiful Joe game! A new Okami for the Wii U, which would work so well with celestial brush drawing on the gamepad. Or a new Kid Icarus which would suit the company so very well! I hope that this game is on the Wii U or 3DS. Hopefully Wii U since they could make it much more action on that than on the 3DS. Wouldn't mind either though, always up for more Platinum action. Now just to pick up Bayo 1 and 2 ASAP! So is "Transformers: Devastation" on PS4, PS3, X1 and Xbox360 the game we were waiting for news on?